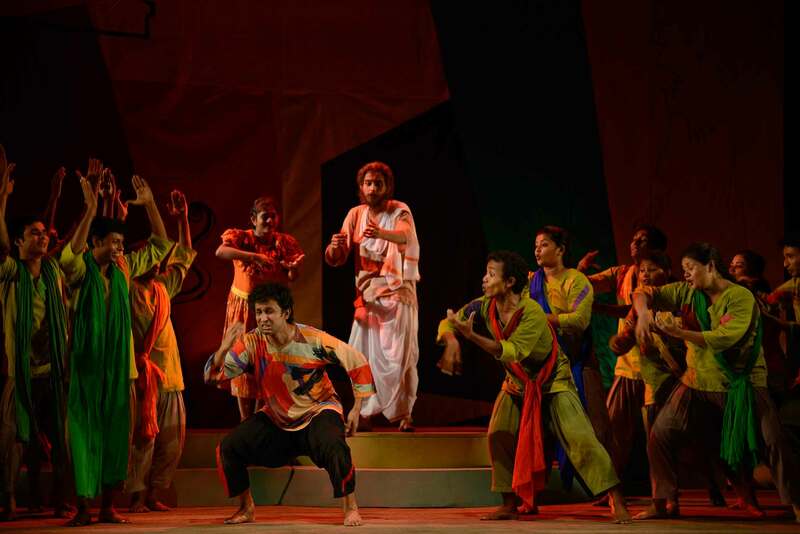 Shey is dramatisation of Tagore’s story of same name consisting fourteen episodes.Shey is presented as a human being who is simultaneously a fictional character, a teller/performer as well as a listener. Though the narration is akin to a children’s tale it is different turn for the grand-father who is not interested to recount something commonplace and so the story begins not with “once upon a time there was a king” but with: “there is a man…”. This “man” is Shey. He is nameless, almost faceless, for he can be any of us. Shey is not restricted to a fictional character exclusively and nor does the grand-father always remain Shey’s creator. If the narration is not of Shey’s liking he has the liberty to suggest alterations and even re-enact in them as he fancies. Unlike the king/prince of conventional tales, informs our narrator, Shey is subject to all the emotions and instincts that a real man is likely to have and hence can also voluntarily terminate his role if the need be. Within these protean strategies we have narrations/enactments that range from Shey’s prospective marriage to his transmigration of soul though not necessarily presented always in a chronological manner. Shey ends as it had begun, abruptly. And we don’t grumble for so does life, too.